Aakash Patel is running for the District 1 seat on the Hillsborough County Commission. TAMPA – Hillsborough County Commissioner Victor Crist has endorsed Aakash Patel in his District 1 Commission race. Crist, a Republican, is the District 2 representative on the Hillsborough commission. Patel said, “It is such an honor to have the support of Commissioner Crist. I have always appreciated his service to our community and his willingness to allow me the opportunity to continue serving on the Citizens Advisory Committee. I know that Commissioner Crist’s endorsement will help continue our momentum as we continue our voter outreach approaching the Aug. 28th primary election”. Patel first met Crist when the commissioner was a state senator. Patel traveled to Tallahassee to work with legislators as part of the Mayor’s Youth Advisory Group while attending Sickles High School. Later they worked together when Crist reappointed Patel to serve on the Citizen’s Advisory Committee where he was vice chair for two years. Patel is the founder of Elevate, Inc. Patel said that, if elected, he is looking forward to working on issues important to residents of Hillsborough County including transportation, public safety and government efficiency. 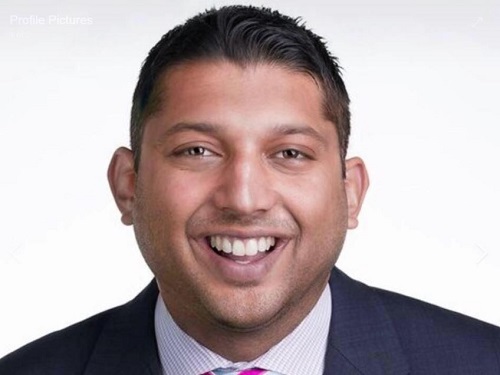 Patel, a Republican, is running for the District 1 seat on the Hillsborough commission. Also in the race are Republican C. Todd Marks and Democrat Jen McDonald. For information about Patel, go to Patel2018.com.